Central hall approx 200 sq metres, large enough to comfortably seat 100 people. Purpose-built recently refurbished stage with spotlighting. 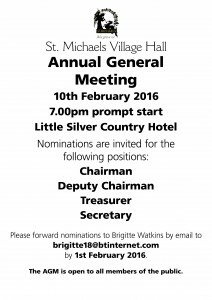 Management Committee Meetings are held monthly in the Village Hall at 7.00pm sharp. 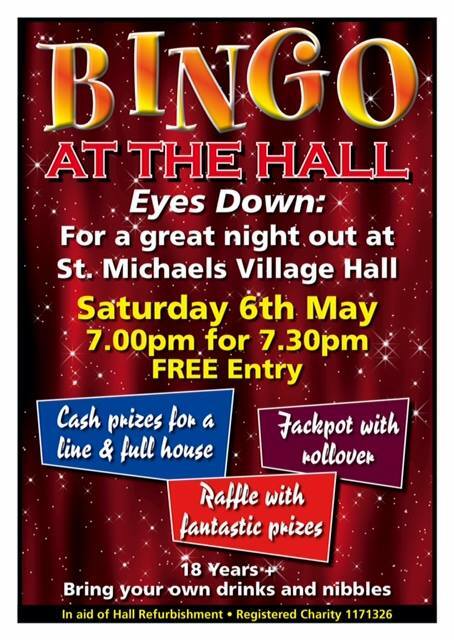 "Eyes Down" Bingo comes to Town! Santa is on his way Ho! Ho! Ho!. 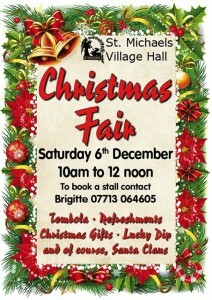 Lots of craft & festive stalls to browse plus raffle & Tombola and much more including a viisit from Santa himself. Why not book a traders stall? 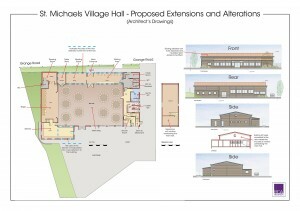 The village hall has now received both planning approval and passed building regulations. All we need are the funds to start the transformation of our lovely hall into a modern community centre. 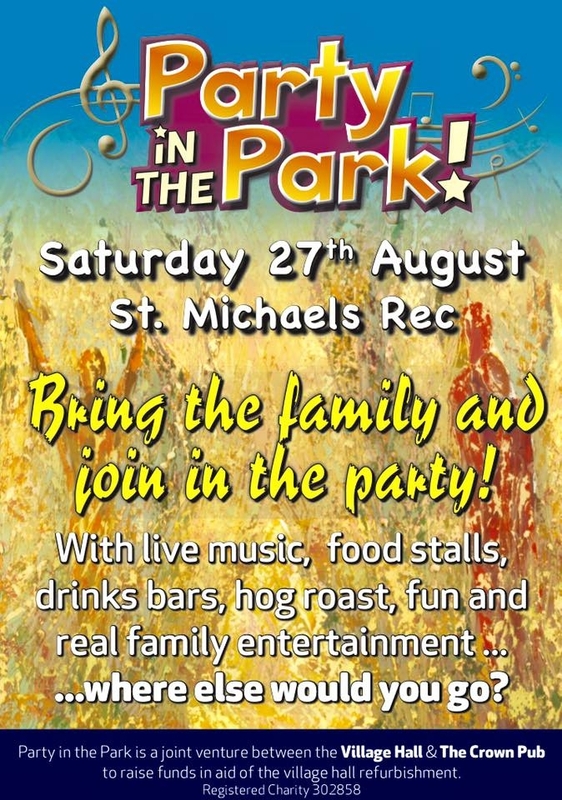 We've been fundraising for a while now but, Party in the Park is our first major initiative aimed at engaging with the pubic on a large scale. 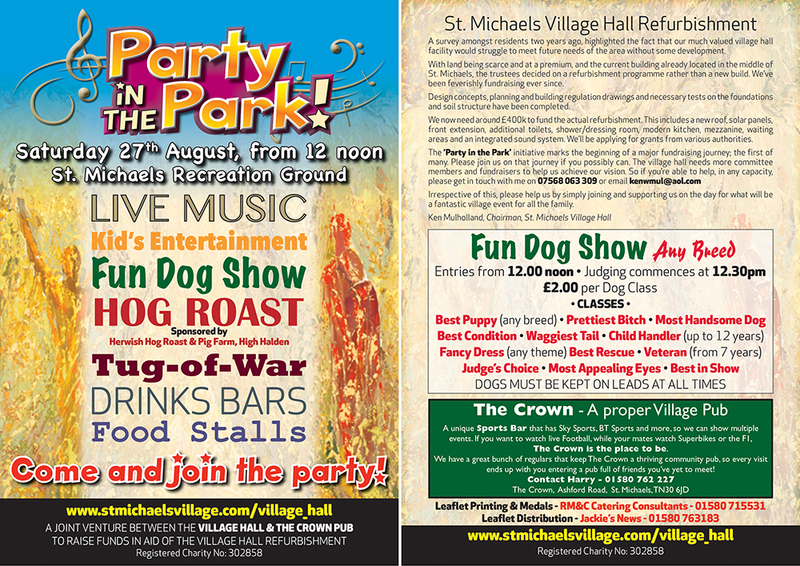 It's going to be a great day out for all the family with live bands and DJ, Dog Show, Tug of War, bars and food of various descriptions including that old rural favourite "The Hog Roast". 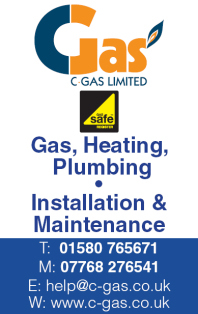 We'll be posting more details about the actual entertainment soon so please keep visiting this site and of course follow us on facebook for more up to date info. Details of bands and performances will be released in the coming weeks. If you feel you'd like to help or get involved please contact me. Ken Mulholland 07568 063309 E Mail kenwmul@aol.com. We're looking for physical help on the day, business sponsorship and of course you may want to book a stall or enter your pet in the dog show! So you fancy yourself a brain box?? Now's your big chance to prove it. 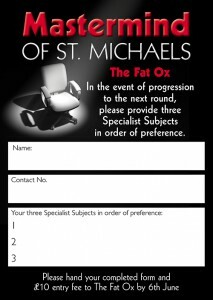 Print of the entry form, complete as necessary and drop of at the Fat Ox together with the entrance fee. There's a long planning schedule as your chosen specialist subjects will need to be fully researched. Fancy a flutter or two? 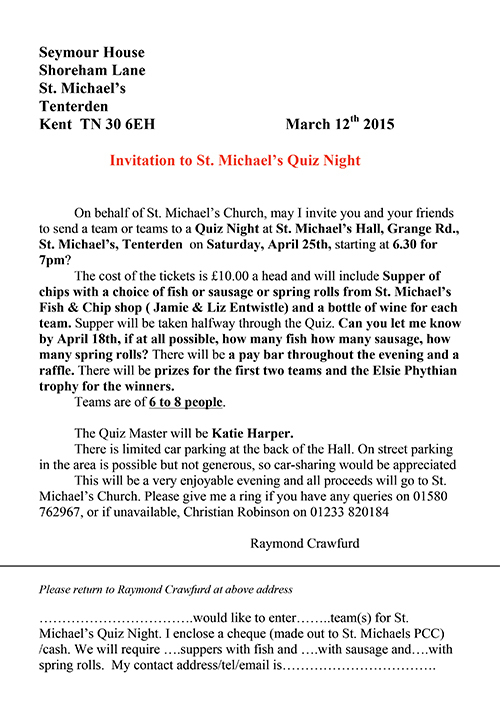 Why not come along and support our fund raising evening. 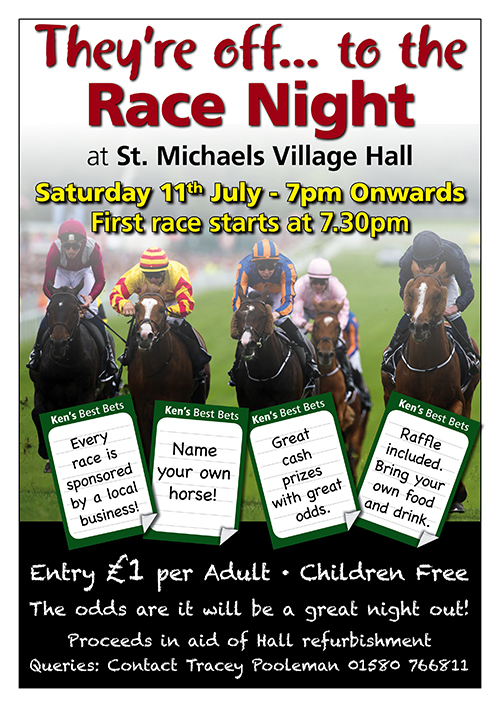 Each race will be sponsored by local businesses and as well as have a bet with great odds you can even name your own filly! 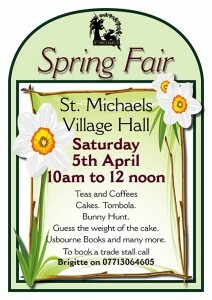 Spring is here at last and we're looking forward to our annual Fair in the Hall. 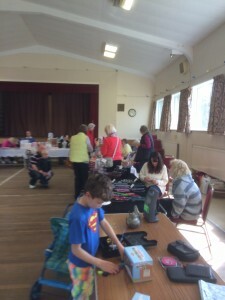 Lots to do and interest both adults and children so come along and have a good old browse. Why not book a stall yourself? 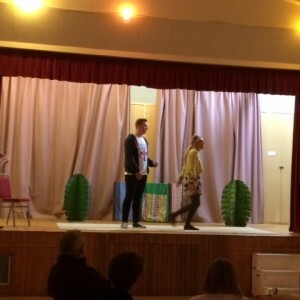 "ELVIS IS IN THE HALL" - SATURDAY 22ND FEBRUARY '14 ! Blow away those winter blues just dig out your blue suede shoes. 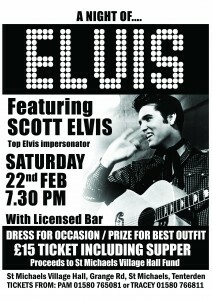 This will be THE ultimate Elvis Tribute evening. Not to be missed. Reservations for tickets now being taken! Following the huge success of our inaugural barn dance in June we were inundated by requests to repeat this amazingly entertaining evening. So here it is folks! Tickets will be available soon for only £12 which includes supper. 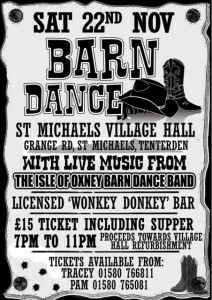 Music by the Isle of Oxney Barn Dance band and lashings of "Red Eye" served by our very own Wonkey Donkey saloon girls!!!! 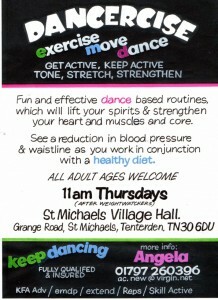 Dust of those dancing boots and get practising! Why not come along to our forthcoming grand boot fair and grab yourself the bargain of the century. 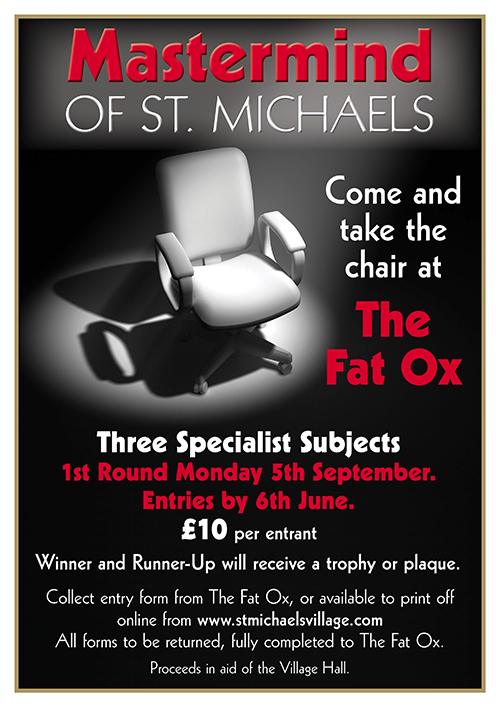 Alternatively, for a very modest fee book a pitch and make some cash from your unwanted goods! 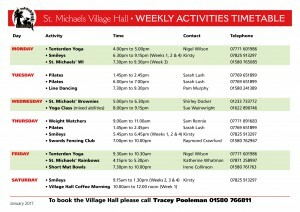 "COUNTRY FEVER" GRIPS ST MICHAELS! Over 80 people of all age groups packed St Michaels Village Hall last night to partake of locally produced food & drink and dance the night away to the rustic tones of the Isle of Oxney Barn Dance band. 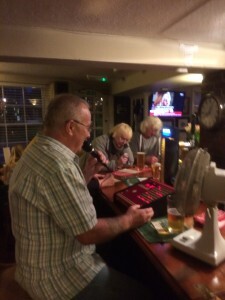 Everyone who came had a fantastic time "strippin' the willow" as well as "sinkin' the pints" and as for some " barn dance virgins", new skills were definitely learnt!. Exact proceeds from the evening are still being calculated but, thanks to the generousity of local businesses along with a high turnout we expect this to be not insignificant. Certainly it will get the Hall of to a good start on the journey towards the £100k target required for refurbishment and modernisation. 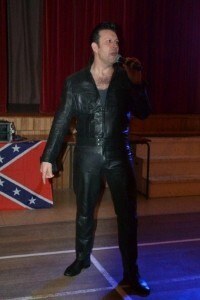 Due to the unprecedented popularity of the event it's also likely another dance may be held later in the year. 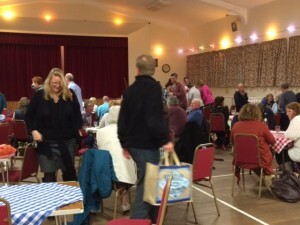 Well done to all who came along to support us and who donated raffle prizes or bought tickets and a big thank you to the Village Hall trustees involved in the planning and organising of the evening. 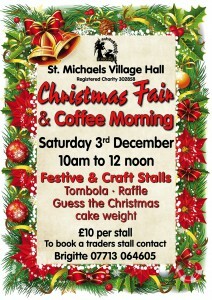 St Michaels Barn Dance - coming soon to a Hall near you! A chance to brush up on your country dancing technique and have a real fun time with all your friends. 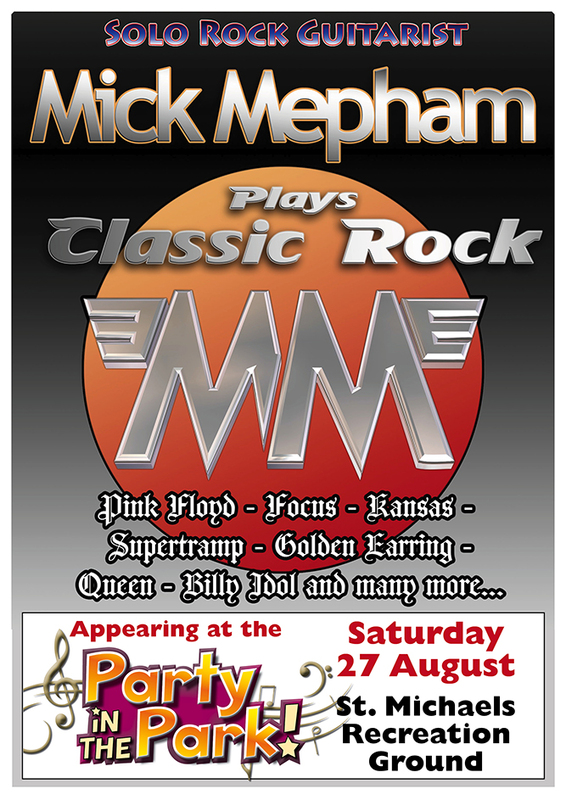 Featuring a live local band and a fully licensed bar to boot! 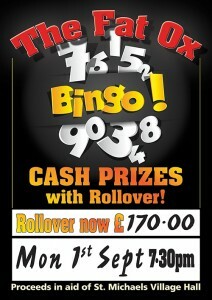 This is an evening not to be missed so why not bring bring all the family. 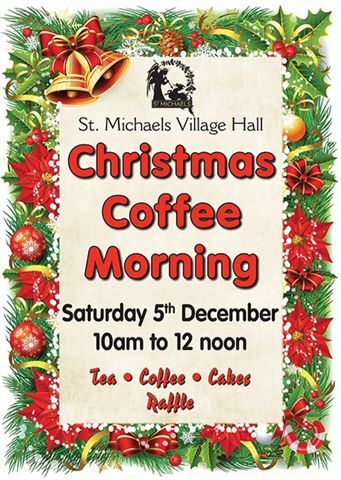 Proceeds from the event will go towards the Village Hall refurbishment and modernisation project aimed at creating a community facility for future generations. PACT ( Police and Community Together) meeting - 30th April!! Why not take this oportunity to come along and discuss any issues or concerns you may have on crime or anti-social behaviour with our local police officers and PCSO Angie Burden? Blow away those "winter blues" enjoy yourself and grab a prize at our forthcoming spring fair!. Lots of fun for all the family. Why not even take a trade stall? All proceeds will go towards the hall's major refurbishment program aimed at creating better community facilities for future generations! 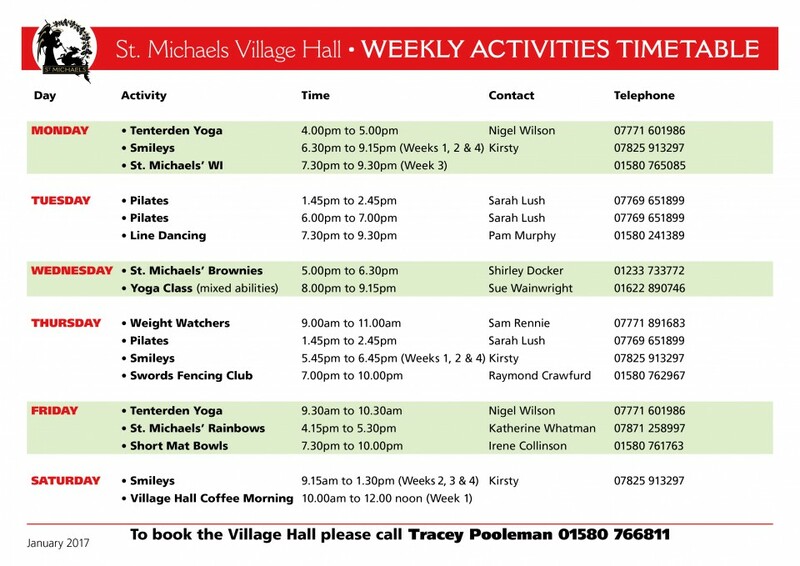 The recent spate of burglaries in St Michaels since last October is concerning to all of us. As a response to this the Community Group in conjunction with Tenterden Town Council have organised a public meeting with Chief Inspector Hibben who has responsibility for policing and allocation of resources in our area. 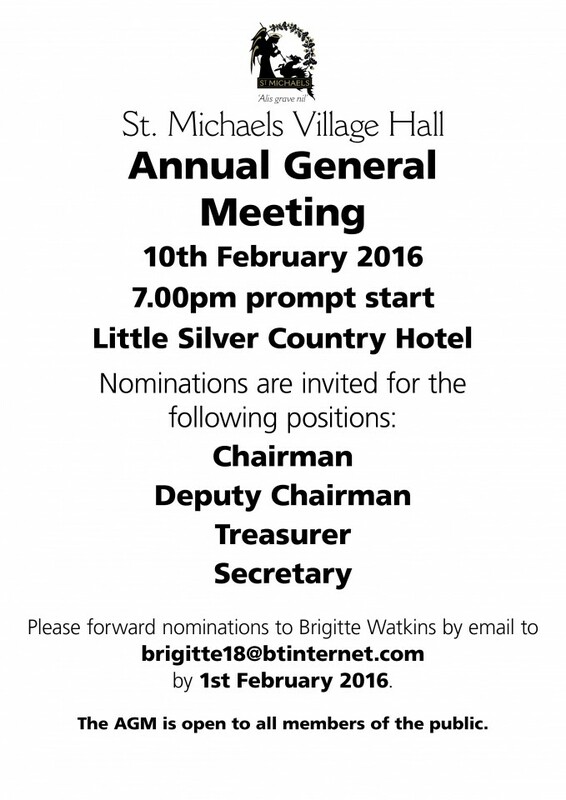 The meeting will take place in the Tenterden Club at 7pm on 31st January. Following on from this The Group are hosting a "Crime Prevention Workshop" run by our local Community Warden and PCSO in the Village Hall on Sunday morning 9am - 12 noon, 10th February. 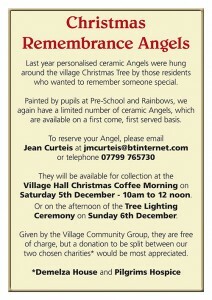 Please do come along and support these initiatives. By working together we WILL beat crime! Front Foyer before and After!!!! Diamond Jubilee Tree Planting Ceremony by Sir Donald Sinden & Doreen Mortimer - 27/10/2012! Bathed in glorious autumnal sunshine and surrounded by about fifty St Michael's villagers, Sir Donald Sinden and local resident Doreen Mortimer emerged as stars of the show" at the recent Tree Planting Ceremony commemorating the Diamond Jubilee of Queen Elizabeth ll. The Rev. Eileen Harrop's tribute to the late Ian Foreman, a founding member of the Community Group together with her blessing of the Tree and all that it represented made this occasion a truly historic event. 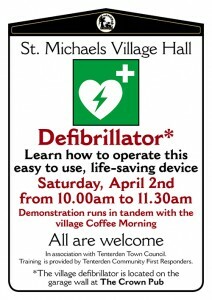 In attendance was the Mayor of Tenterden Cllr. Robin Wade and Ashford Borough Cllr. John Link who assisted with the planting as did various members of the Community Group and local children. The rain managed to hold of and the sun shone on the righteous. 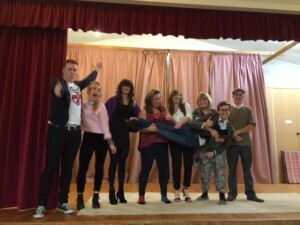 Afterwards a sumptuous afternoon tea was enjoyed by all in the village hall. A great day in the history of St Michaels! Diamond Jubilee Tree Planting Ceremony by Sir Donald Sinden & Doreen Mortimer! 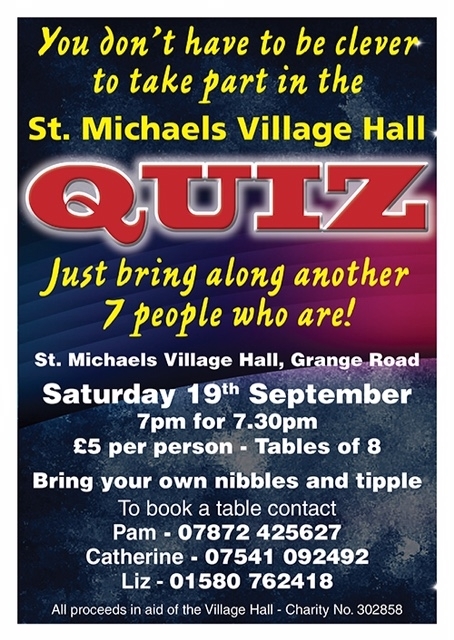 The Village Hall in conjunction with the Community Group are hosting a Quiz evening to find the "brains" of St Michael's. This could well be a very long night folks!!!! 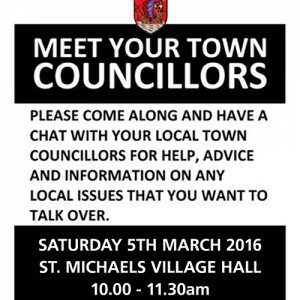 Drinks & Nibbles - Bring your own and show the rest of the village how knowledgeable you really are!! 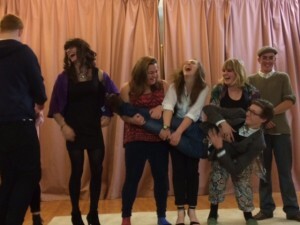 "Jumble Juniors Sale" coming soon! George Freeland who was vice chairman of the Hayseeds Dancing Club was looking for a large enough hall to accommodate his club. 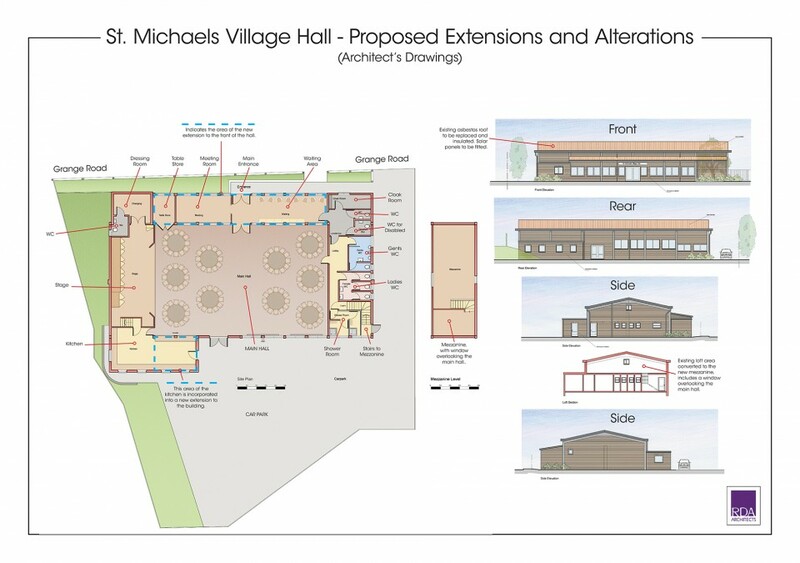 All the numerous St Michaels organisations responded favourably to the suggestion of a new hall in St Michaels. This was the start of fifteen years of fund raising and struggling with beaurocracy. The then Tenterden Mayor, Stanley Day, called a public meeting in the Town Hall and got a representative from the Ministry of Social Services to come and tell them what the project entailed and what help the Government would give and Mr Freeland was appointed to run the effort. Sites considered by Mr Freeland were, the corner site now occupied by the Fire Station, the corner site at Shoreham Lane, sites at Wayside, Heather Drive, and Grange Crescent before any development had been started. The only site offered by the council was the Pond Site (Marshals Land) which was originally turned down because of the extra foundation costs. After many frustrating months with no co-operation from the Council, a Public Meeting was called to reconsider the Pond Site previously offered for the sum of £50. Finally, despite the extra estimated cost of about £200, it was agreed to purchase the site for the asking price of £50. The decision to purchase was made! Donations from Miss Roughton, Mrs Reece and Mr Heaton started the building fund. The Ministry's Trust deed was signed, making the project a Charity thus authorising the committee to raise funds and entitling them to the grant of £1 for every pound that was raised as public trustees. Once the position was legalised, the fund raising really began. Whist Drives, Coffee Mornings, Bridge Drives, Concerts etc. For twelve years Gymkhanas were held on the first Saturday of each September and a Fete every Whitsun. Also marmalade was made and sold locally! The Mayor, Major Chalk, arranged a whole week of events in support. A profit of £700. On the week was made. By 1963 there was £2,500. in the building fund, add to this the ministry grant making a total of £5,000. and a decision was made to start the building, anticipating more public support when it was seen to be actually taking place. The plans were drawn up by Peter Luckett and approved by the Ministry. They were then submitted to the Kent County Council and Tenterden Town Council, both of whom approved, and building started. As with all village halls, rate relief of 50% was given when the Hall was eventually built. This was in 1967. The grand piano was given by Mrs Reece, broadcasting equipment for use at the Gymkhanas was purchased for the sum of £41.13s.0d and the first years bookings amounted to £560. Mr Freeman gave three flowering cherry trees, three conifers and some flowering shrubs for ground cover for the front of the hall. As there was no kerb along the front, cars were always parking on the frontage, to the decimation of the trees. The Committee decided that six feet of the frontage should be offered for a footpath if the County Council would build a low retaining wall. Again after negotiation the wall was built and the pathway made, This was in 1970. When Ashford Council took over Tenterden, they made the hall rate free. This was later reinstated at the previous rate. Today the Hall is air-conditioned, double glazed and boasts a sprung floor. It is one of the largest in Kent and finest regarding capacity and amenities. The Hall is fully booked but will always endeavour to accommodate any new hirers. This was all achieved by a dedicated and tireless Committee, with a hundred per cent support from local organisations. 16th April 1956 A Public Meeting was held at St Michaels School when it was decided to accept the Pond Site in Grange Road . - no papers found for this meeting. The committee was formed when the site had been earmarked and its aim was to raise funds for buying the site and building the hall. The first meeting was held in St Michaels Post Office Stores on Tuesday 19th June 1956. The officers elected were Chairman: G.E freeland, Vice Chairman:P Hukins Hon.Secretary: R F Champion, Publicity Manager: E.H Belcher. Hon Treasurer: Mr Abbott ( elected in his absence subject to his agreeing). Other people attending this first meeting were: Miss Newnham , R H Coombs, A J Jarvis, and F Russell. It was agreed at this meeting to ask an architect to survey the site, to register the proposed hall with The Council for Social Services, to form a social committee and to open a bank account for the Hall. The Second Committee Meeting on 3rd October 1956, clarified the Council for Social Services role of issuing a £ for £ grant on any money raised locally, and reported concerns that the hall might be subject to subsidence if built on 'made up' land.It was decided to ask the Borough Council that in view of the architects report, would it be possible to have a different piece of land. i.e. The allottment site behind Marshalls Land. Third Committee Meeting held on 20th February 1957. 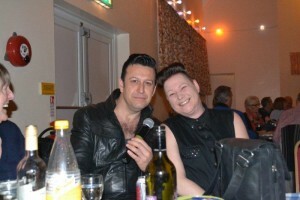 Mrs Creek only new member. Only page one of notes exists, and it seems that in view of subsidence concerns and possibility of the allottment site ( now the school playing field ) a further public meeting should be held. Public Meeting held on 22nd July 1957 at St Michaels School. Approximately 50 members of the public attended. The problems of the proposed Pond Site were discussed, three architects reports now having been obtained, the extra costs for foundations on this site would be anything up to £1000. Tenterden Council were reluctant to release the allotment site as it may be needed for future housing!! In view of the fact that it was 4 years since the hall was first proposed, a vote was taken to see if the Public still wanted one. The vote was only 1 against. 18th March 1960 meeting held at St Michaels School to arrange a local fete. Meeting held at St Michaels Vicarage on 27th June 1960. Present were:- Chairman Mr W Russell. Secretary Miss B Wightwick, W D Hukins, Revd. Perry, Mrs Watts, Mr K Jessup, Mr Abbott and Mr Coombes. Planning Permission was to be sought and fund raising events for the year were arranged, including selling of bricks, whist and bridge drives, dances and bonfire night. Attending this meeting on 13th April 1961 were Chairman: G freeland, Treasurer: Mr Hammond, Secretary: Mrs M Melville-Cross, V Perry, Lady Gordon, Mrs Watts, K.Jessup, P.Major, P Hukins, R. Faulkener, P Withers, A Jarvis, D Russell. The Tenterden Borough Memorial fund put its proposals forward for the disposal of this fund. It was agreed by this committee for the money to be divided equally between Tenterden and St Michaels. 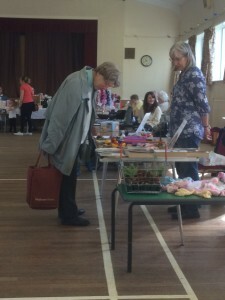 The rest of the meeting was arranging the Whit Monday Fete to be held on 22 May. 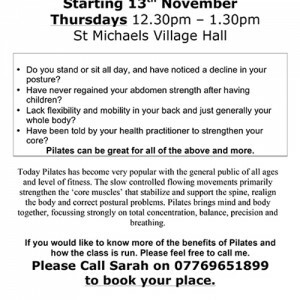 © St Michaels Village Committe Admin.